Family owned insurance providers for Long Island since 1963. Condo associations have a unique set of property and liability insurance needs. We help homeowners associations across Long Island design custom HOA insurance packages that take into account so much more than the master policy itself. Loyal customers of the James F. Sutton Agency appreciate that our work is not done once their condo association insurance policy is in place. We monitor coverage and continually make recommendations that will keep HOA insurance premium costs in check. An HOA master policy starts with property insurance that covers the common and structural areas of the property, including the roof, basement, fences, elevator, parking area, swimming pool, exercise space, walkways and exterior walls, among other things. We can consult with you on additional insurance for certain specified property, depending on your condominium setting. An HOA faces a range of liability concerns, and we will inspect the property before advising on specific coverage you may wish to consider. General liability and umbrella liability work well together to provide protection in the event of injuries on the premises that may result in expensive lawsuits. Defense costs would be covered, up to policy limits. Workers compensation insurance may be required for New York condos if the HOA has employees for such roles as office and marketing staff, groundskeepers, maintenance, contractors and others. Workers comp covers the employer and also provides certain benefits to the employee in the event that on-the-job mishaps cause injury or there is a work-related illness. Workplace safety is the goal, of course, and we can help you with risk management concerns. We also offer a variety of group plans and employee benefits. Insuring the condo structure is vital, of course, but so too may be protecting the people who are responsible for handling day-to-day property management. It only takes one incident involving injuries or property damage to provoke an expensive lawsuit that includes members of the condo association as defendants. Directors and officers insurance, or D & O insurance, is a policy that can protect key decision makers from such liability concerns. Homeowners associations and condominium associations may be asked to explain their insurance decision making to condo residents. We can help you understand the coverage so that you can provide information to unit owners when they ask about the HOA master insurance policy, deductibles, flood and wind storm protection and more. We’ll also be happy to attend a condo association meeting, if you feel it would be beneficial for the organization. What Is Fidelity or Crime Insurance? In certain circumstances, your association may be required by the mortgage lender or others to secure a fidelity coverage, which is insurance that would protect the lender from losses if the condo association is involved in unforeseen fraudulent actions or misconduct. One example would be if an HOA board member was authorized to use an HOA bank account and subsequently stole funds from the organization. Our careful review of your association’s insurance needs will uncover what may be required in terms of fidelity coverage or other protection. 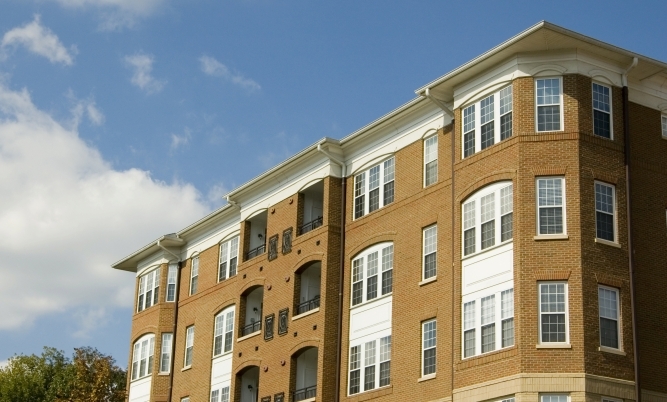 The James F. Sutton Agency understands Long Island condo associations and other business insurance needs. As independent agents we represent our customers, not the insurance company. That translates into competitive costs and coverage that is tailored to your association’s specific property and liability issues. For a complimentary consultation of your existing condo association or co-op insurance policy, contact our experienced agents in East Islip today. We will provide a no-obligation New York homeowners association quote. We can help you find the right insurance package for your HOA. Why work with independent agents? Our independent agents live and work on Long Island just like you. We represent multiple insurance providers and can tailor your insurance coverage to match your business or personal needs. Count on our friendly, knowledgeable service when you need it most. James F. Sutton Agency Ltd.